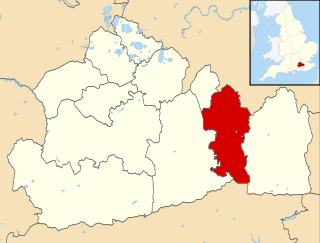 Reigate and Banstead is a local government district with borough status in East Surrey, England. 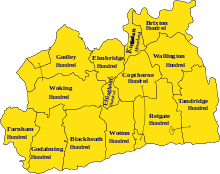 It includes the towns of Reigate, Redhill, Horley and Banstead. 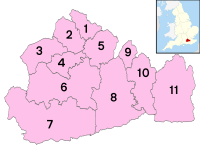 The borough borders the Borough of Crawley to the south, the Borough of Epsom and Ewell and District of Mole Valley to the west, Tandridge District to the east and the London Boroughs of Sutton and Croydon to the north. 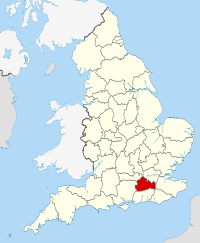 The Roman Catholic Diocese of Arundel and Brighton is a Latin Church Roman Catholic diocese in southern England covering the counties of Sussex and Surrey. The diocese was erected on 28 May 1965 by Pope Paul VI, having previously been a part of the larger Diocese of Southwark, which was elevated to an archdiocese with a new ecclesiastical province on the same date. 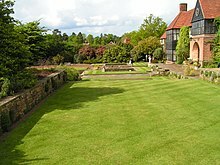 This is a list of towns, villages and most notable hamlets and neighbourhoods in Surrey which is a ceremonial and administrative county of England. 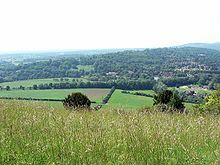 East Surrey is a constituency represented in the House of Commons of the UK Parliament since 2010 by Sam Gyimah of the Conservative Party. Its record is that of a Conservative safe seat based on time and opposition. It has elected a Conservative Party MP on an absolute majority since the seat's establishment, in 1918, and its greatest share of the vote for any opposition candidate was 33.75% in February 1974. 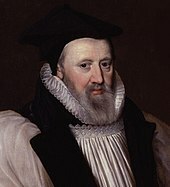 The Diocese of Guildford is a Church of England diocese covering nine of the eleven districts in Surrey, much of north-east Hampshire and a parish in Greater London. 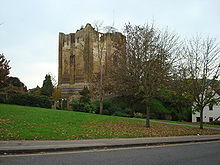 The cathedral is Guildford Cathedral and the bishop is the Bishop of Guildford. 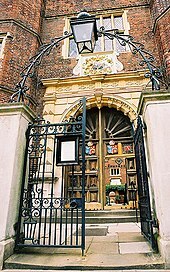 Of the two provinces of the church, it falls within the Province of Canterbury. The River Wey is a tributary of the River Thames in south east England and one of two major tributaries in Surrey. The name is of unknown origin and meaning. It begins as two branches rising outside the county which join at Tilford between Guildford and Farnham. Once combined the flow is eastwards then northwards via Godalming and Guildford to meet the Thames while in Surrey. 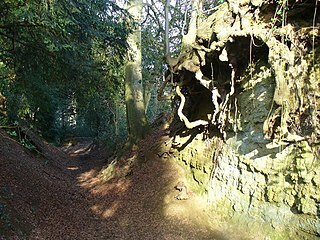 The main sub-tributary is the Tillingbourne flowing from the western slopes of Leith Hill in Surrey westwards to a point just south of Guildford between the main village of Shalford and the hamlet of Peasmarsh. Downstream the river forms the backdrop to Newark Priory and Brooklands. This is a list of settlements in Surrey by population based on the results of the 2011 census. The next United Kingdom census will take place in 2021. In 2011, there were 36 built-up area subdivisions with 5,000 or more inhabitants in Surrey, shown in the table below.